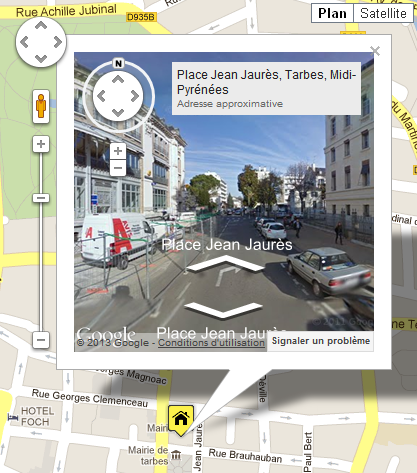 StreetView is available only with Google Maps api ! Its contents will be a component DIV who must have a unique name here "streetwindow"
It must also define its size, 300 pixels in height and width. We connecting events OnInfoWindowOpen and OnInfoWindowClose to show/hide StreetView When InfoWindow will be open or closed.